Marlon Moraes only needed 33 seconds to dispose of a man who hadn’t been beaten in nearly a decade tonight in Utica. 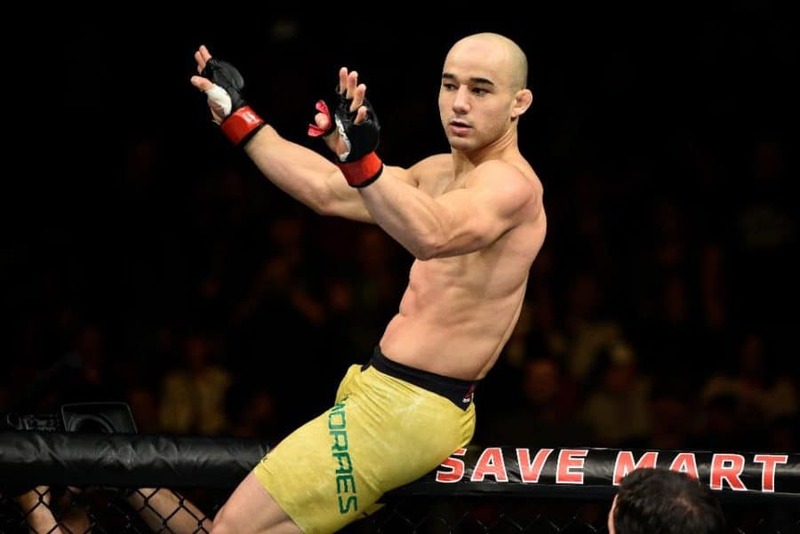 In the highly anticipated main event of UFC Fight Night 131, a bantamweight battle between Marlon Moraes (21-5-1) and Jimmie Rivera (21-2) was almost guaranteed to be a barnburner; the odds for this bout closed at as a pick em with both men sitting at -115. Instead, Moraes would land a picture perfect switch kick on Rivera on the right side of his dome, dropping him to the canvas where he’d eat a few more punches for good measure. Due to the speed of Moraes’ kick, the Brazilian really didn’t even need to set it up with any feints or strikes, thus forgoing the feeling out process en route to a quick KO victory. Check it out below. With this highlight reel victory, Moraes solidifies himself as the man who will likely challenge whomever emerges with the bantamweight title when TJ Dillashaw defends the belt against Cody Garbrandt at UFC 227 later this year. Moraes moves to 3-1 inside of the UFC with victories over John Dodson, Aljamain Sterling and now Jimmie Rivera. His lone loss against Raphael Assuncao in his promotional debut came by way of a controversial split decision. For Rivera, this loss snaps a 20-fight win streak. Rivera did suffer a loss to Dennis Bermudez via TKO on TUF Season 14 in exhibition action in an attempt to get into the house.